Return to the Listening is Learning home page. Listening is Learning seeks to raise awareness about the learning benefits of listening to description of video-based educational media. 3How does description benefit students who are blind or visually impaired? 4How does description benefit students who are NOT blind or visually impaired? 5Where can I find description? 6How do I add description to my media? 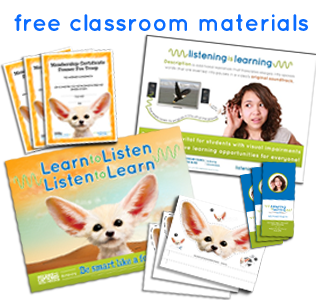 7Order your free Listening is Learning Materials with posters, lesson guide, certificate and more. How Audio Description Benefits Students Who Are Blind or Visually Impaired. 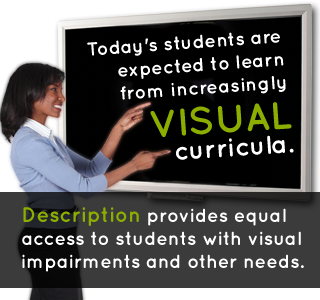 Learn how description benefits students who are visually impaired. 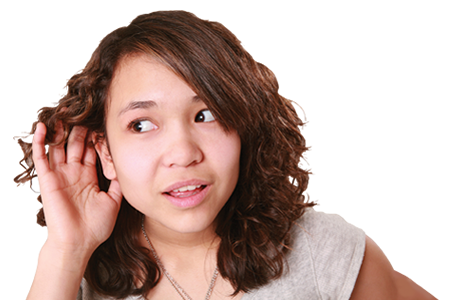 How Audio Description Benefits Students Who Are NOT Blind or Visually Impaired. Learn more about how listening to description improves learning. Where can I Find Audio Description? learn more about where you can find described media. How do I add Audio Description to my media? 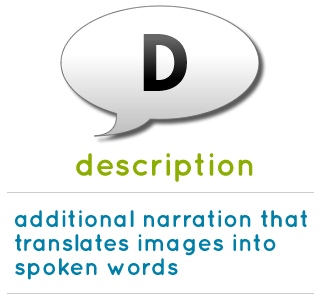 learn more about how you can add description to your media. Order your free classroom materials. Listening is Learning is a joint initiative of the Described and Captioned Media Program and the American Council of the Blind with the purpose of raising awareness about the educational benefits of listening to description. Become a fan of the DCMP on Facebook. Except where otherwise noted, content on this site is licensed under a Creative Commons Attribution-Noncommercial License. This site is coded in valid XHTML. 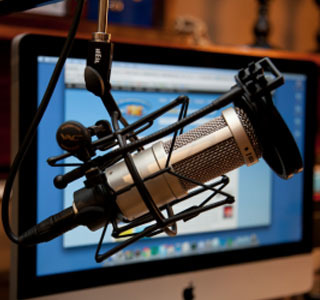 Are You Looking for Accessible Educational Media? 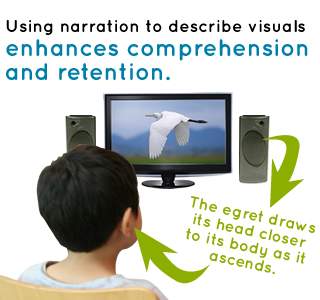 The DCMP provides free access to thousands of captioned and described educational videos to registered members who work with K–12 students with vision or hearing loss. The Description Key for Educational Media serves as a blueprint for anyone looking to make video accessible for students with vision loss.